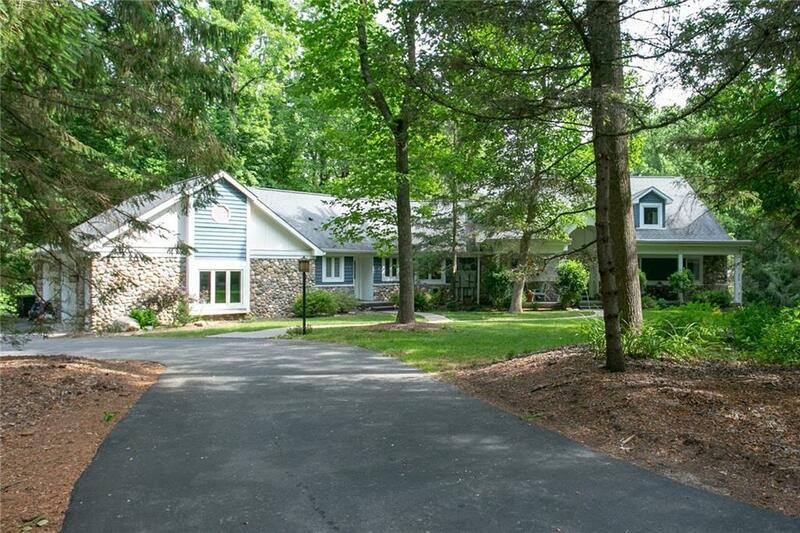 Tucked away among the summer foliage, this 4 bedroom home is a true oasis. Optimal in both style and function, the open floor plan begins with a lovely tile entry as you make your way to the soaring great room which has a 2 story masonry fireplace. Spacious kitchen has stainless appliances and ample cabinetry. Main floor master has double vanity, separate shower and walk-in closet. Remaining main floor bedrooms each have their own full bath and access to loft area that is big enough to have lounge space as well as storage. Lower level offers 4th bedroom, half bath, and second fireplace. Entertain on the open deck or find shade in the screened-in porch overlooking lush backyard. Unique home in a park-like setting! A must see!